Complimentary Valet Parking. Ample self parking directly in front of restaurant. 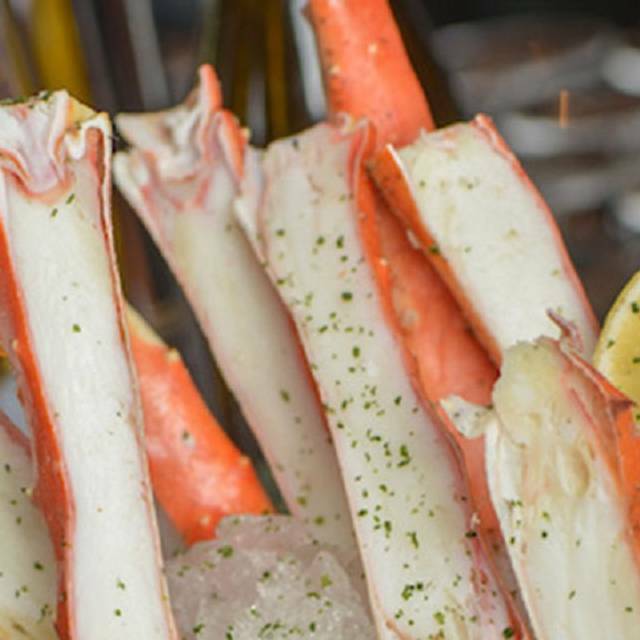 At Steak 48 - Houston our menu features the best of prime steaks, fresh seafood and shellfish. 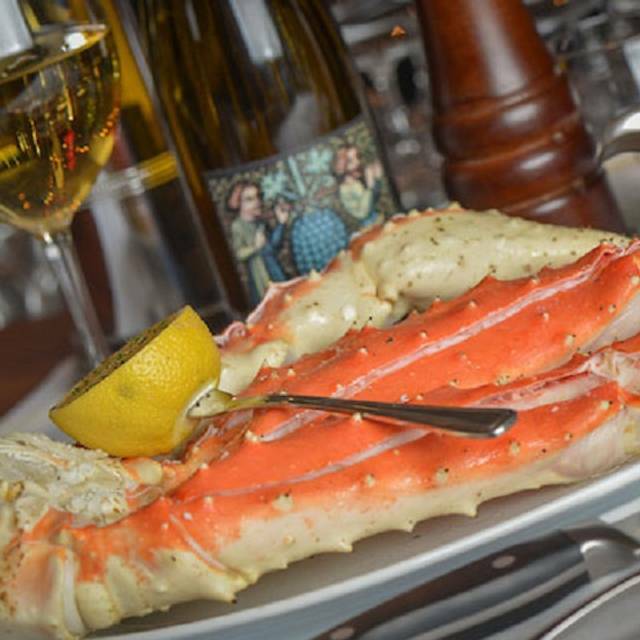 We offer a variety of many interesting and unique appetizers, entrees and side dishes such as our crab & avocado stack, crispy Hasselback potato with smoked sea salt and truffle butter or Alaskan King Crab and Rock Shrimp Macaroni and Cheese to name a few. 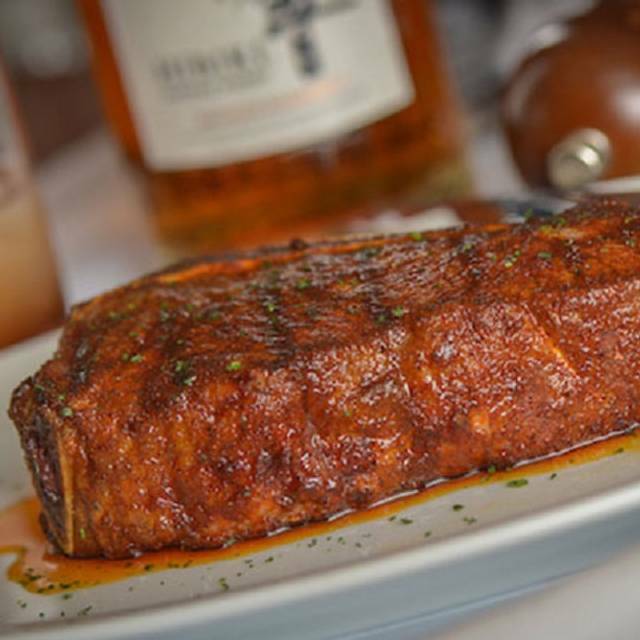 This makes Steak 48 more than a steakhouse; it’s the perfect choice for your next social or business event. 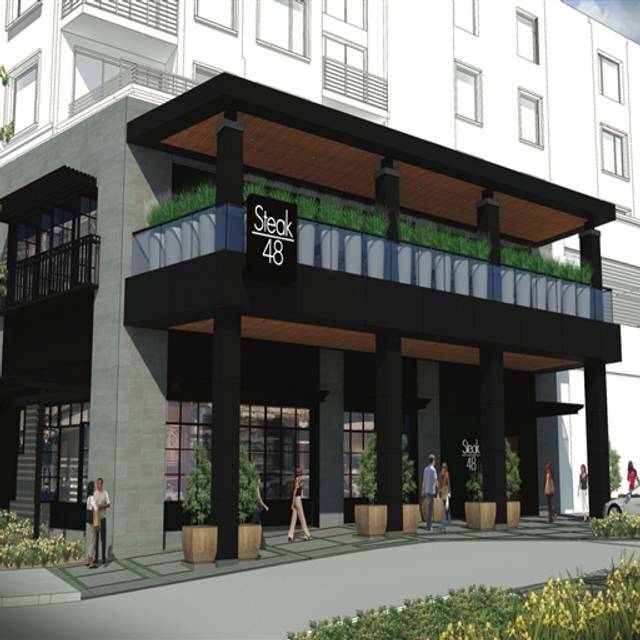 Steak 48 - Houston has a collection of intimate spaces with many dining rooms, offering a host of options tailored to your specific needs. 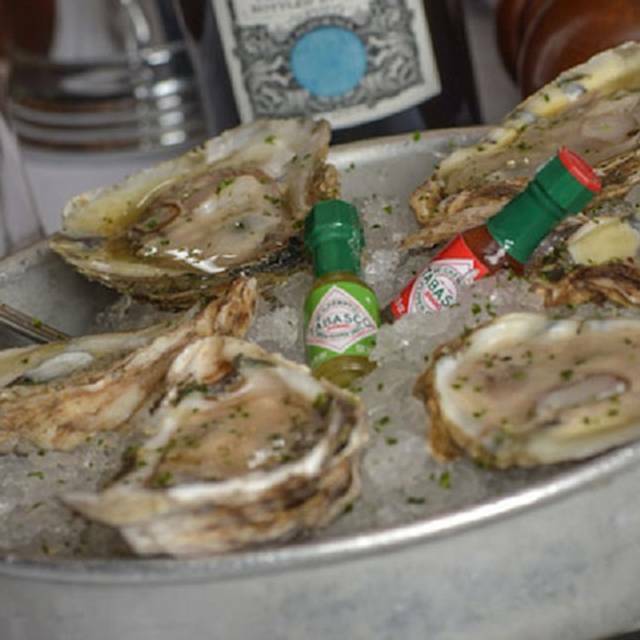 At Steak 48 - Houston our menu features the best of prime steaks, fresh seafood and shellfish. Not just another steakhouse, Steak 48 - Houston is a warm contemporary steakhouse featuring prime steaks, a raw bar and extensive fresh seafood selection, unique appetizers including ahi poke and burrata with grilled stone fruit and side dishes including a double baked truffle potato, asparagus fries and corn crème brûlée, classic cocktails and an extensive award winning wine list. Very nice ambiance. Yum food. GreAt service. Our son is in town visiting for the holidays! The service and staff were remarkable. The waiter was very knowledgeable and the food was delightful. This restaurant deserves 10 stars. Awesome experience for my Husband's 33rd birthday! 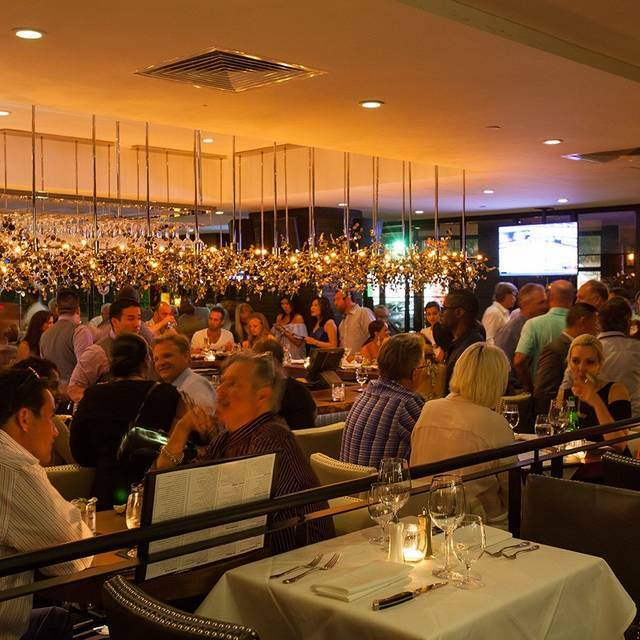 There are plenty of good steakhouses in Houston, service and side dishes make this restaurant stand out. Five of us went, we had king crab stack, pork belly, iceberg BLT, prime rib, scallop, creme brûlée corn, brussels sprouts, mac n cheese. Prime rib and scallops were good as expected. Creme brûlée corn and pork belly were simply outstanding, crab stack was very good but it was a little too sour for my taste. We were all quite full but took one desert anyway, banana split. It was unusual and superbly done. Our head waiter, Ryan, and other waitstaff did not miss a single thing from start to finish. When we ordered only one desert, they still put out five services so we all had 2-3 bites of the Banana Split. I love steak 48. I come yearly now for my birthday. The food and ambience are worth the wait. Omg!! Steak48 is the place to be! The food is awesome, the ambiance is spectacular and our waiter exceeded all expectations!! I will definitely be back and I would recommend this restaurant to anyone. This restaurant by far is my favorite!!! After calling to be sure our table of 5 was not by a doorway or a service area, guess where they sat us? Not impressed and the food was mediocre although the waitstaff worked hard. Don’t trust Ashley if you speak to her about your reservation. She was also rude when we left. We will not return. I really enjoyed my visit to Steak 48. Your serving staff was great. The food was tasty and not salty. I am looking forward to returning again to try other dishes. Very high quality and excellent attention to detail. This restaurant is expensive but we feel like we got what we paid. Love Steak 48. Food is always good and service is outstanding!!! It is a little pricey but it is a apraxia occasion type place so go ahead and splurg! 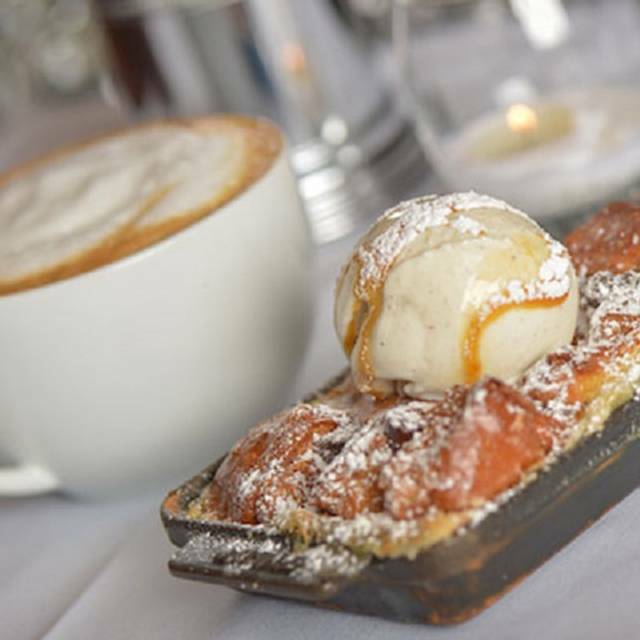 We made reservations through Open Table and were really impressed with the level of service and attention to detail. We were sat upon arrival for our reservation and the ambiance was nice. Very dim lighting but seems like blinds were opened which helped to see better. Our server, Arthur, was just perfect! His knowledge of the menu and suggestions were perfect. Pleased the whole way through on our date. Food was fair for the pricing, quantity good, I did like the relaxed yet tasteful dining room. Our waiter was very attentive and constantly made sure we were doing ok, it was my birthday and the waiter offered me a dessert for my birthday which was pretty cool. I would return to Steak 48 again the experience was pretty good. I love how relaxed the environment was, the staff was over the top and the food was very delicious! This was my first visit. Food was good. Comparing Steak 48 to Killen’s Steakhouse they each have good qualities. I would probably go to Killen’s again before Steak 48. The major problem I have is my car was broken into while in valet . I was understanding but three days out and no calls back after talking to Al and Dane . I was assured “everything will be taken care of “ but NOTHING. Why have someone watching valet cars “if this happens all the time” as I was told by the valet workers. The establishment needs to spend some money and put cameras up like all nice steakhouse places have. I'll make this quick: I really enjoyed Steak 48. The eponymous dish - in this case a boneless strip - was perfectly prepared and delicious. The starters (we ordered two salads and the burrata for the table) were pretty good, particularly the wedge. The sides were especially good - the creme bruleed corn was outstanding. But I have to deduct a few points for drinks, and service. On the drinks front, I guess the fault is in part mine; I ordered a subpar bottle of wine (and should have known better). The Manhattan, though, could have been better. I ordered it their house perfect Manhattan (equal parts sweet and dry vermouth), and given that the vermouth will make or break the drink, I think that's where they went wrong. I couldn't see behind the bar so I can't say for sure what they used, but it tasted like the universal and underwhelming Martini & Rossi or something similar. That said, for $18 I got what was in essence two drinks so I can't complain that much. The service, on the other hand, was just too much. A little overwhelming, too much detail, too much hovering, as if we'd never been to a steakhouse in our collective lives (narrator: they had). Maybe it was just our waiter, or maybe it's a restaurant culture thing (and I lean towards this explanation given the occasionally inexplicable soundtrack), but we all found it rather off-putting. Still, I'd give the place another try next time I'm in town. Lovely! We love coming here! Everything was wonderful. Our waitress Michelle was fabulous. Everything about this steakhouse is PERFECT. The servers are knowledgeable and the food is great. I cannot find a single thing that I would complain about. I love this place. And then a follow-up call the next day?! Wow! Amazing! Great experience. Our server Devlin was awesome! Everything was AMAZING. Ahi tuna, steak, sea bass, THE BREAD, dessert. Jesse, our server, was fantastic. Truly a great dinner/night. Great food, overwhelming service. In 5 mins we had 3 waiters asking us we wanted this or that, kind of pushing us to buy aperitivo, antipasto, ecc. Not a big deal, they do it in many places. What I really didn't like was the way we for charged for wine. We asked for 2 glasses of red wine (Cabernet) and the waiter filled our glasses leaving the bottle on the table. Couple of times during the dinner he came by our table and refilled our glasses without even asking if we wanted more (just like they do with coffee in breakfast places). Long story short, he ended up emptying the whole bottle and he charged for the whole bottle. Very uncool and unfair I would say. I can't say enough good things about our experience with steak 48. Our server, Ian, was extremely pleasant and helpful, as were the rest of the staff we encountered. The food was marvelous, our steaks were done to our specifications and the hot lavender-scented towel at the end of the meal was an extremely nice touch. we can't wait to return! I’ve been to Steak 48 in Houston twice over the past month. Hands down it is the best restaurant I’ve been to. 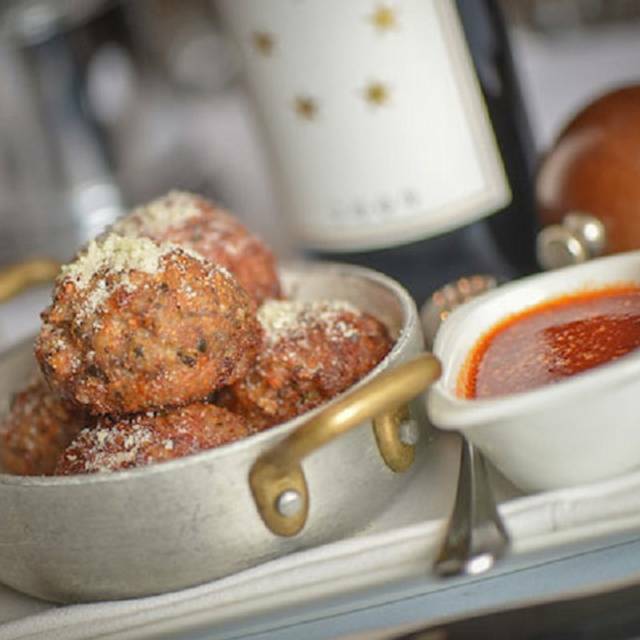 Aside from the high quality food that comes to the table hot, the service was second to none! It is the only restaurant that called me the following day to see how my dining experience was and if there was anything else they could have done to make it better. In a word...outstanding! PROS--They food was delicious, hot and enough to leave satisfied. CONS--My wife is disabled and they had to bring her thru the kitchen as there was no ramp to go to the other level of the restaurant. Maybe in your next location you can accommodate the disabled. Also the opening where our table was located did not accommodate my power chair. The lamb Chops were hugely overpriced. We explained to the waiter that we were newbies and he should have explained when the lambchops were ordered, it will be $84.00. 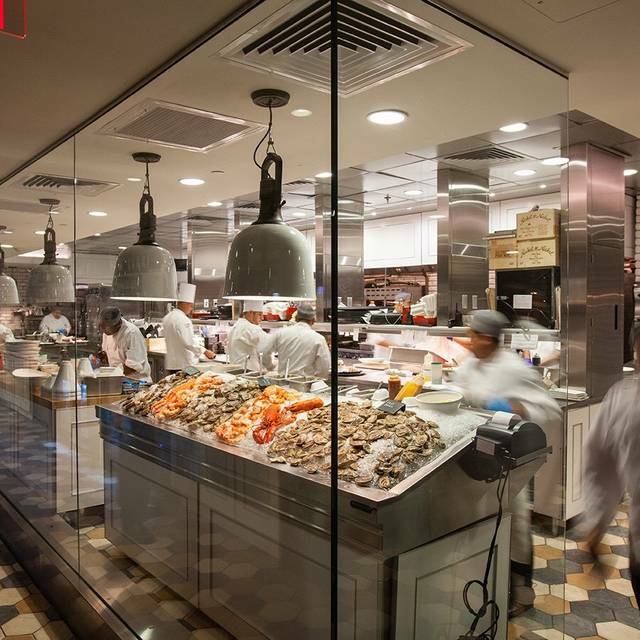 Del Frisco's, Pappas Brothers and Ruth Chris Steakhouse all have Lambchops from Colorado priced significantly lower. ($54.00 - $63.00.) Your price was ridiculous and felt like price gauging. None of the drinks have free refills, and still cost $3.50 each. Maybe re-review the menu costs. Excellent customer service. The staff makes you feel very special. Great steakhouse and great ambiance. Still, nothing beats Pappas Bros Steakhouse in my perspective. We go every Friday that we are in town! We love it! This was my 2nd time here. The first time I wasnt thrilled with my steak and the management went above and beyond to rectify that experience. My food was outstanding asd the service is second to none. This will definitely become a regular spot for me. Thanks to the manager (Patrick) for all he did. Steak 48 has great service, steaks, and atmosphere. The sides are small and pricy but the steak is first-rate, cooked to perfection, and the staff is ever-attentive to our needs. We've been several times and this ranks right at the top of Houston's best steak houses (in my never-to-be-humble opinion). It can be a bit noisy and they should have build more restrooms into their floor plan...But I'll go again; it's worth it.